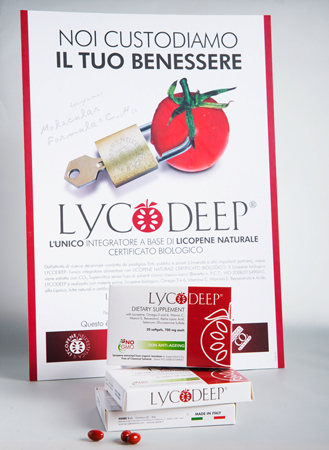 Italian dietary supplements produced using our "organic lycopene" perfect antioxidant for health protection activities. Stronger organic antioxidant to prevent diseases as health prostate, cancer, heart stroke, skin problems and others. Dietary supplements production of organic diet supplements to pharmacy distributors and dietary market. 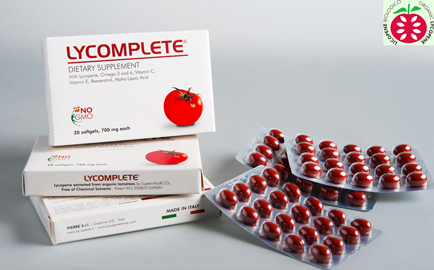 Powerful "Organic Dietary Supplements" according to the made in Italy and diet health international standards, using Italian organic lycopene, the perfect organic antioxidant. ORGANIC DIETARY SUPPLEMENTS MANUFACTURING INDUSTRY Pierre srl. is the world leader for research, technology and production of Organic Lycopene used as main ingredient to produce our health food dietary supplements. 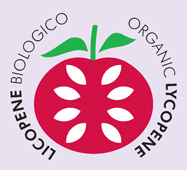 Our organic lycopene (Patent WO 2008/015490) is extracted from red-ripe tomatoes obtaining natural compounds as lycopene, carotenoids (b-carotene, lutein, zeaxanthin), polyunsaturated fatty acids (omega-3 and omega-6), phytosterols and vitamins. WE REALLY CARE ABOUT YOUR HEALTH as Italian manufacturer industry we offer to the health care distributors and dietary industry a range of powerful "Organic Dietary Supplements" produced, according to the health international standards, using our made in Italy organic lycopene. 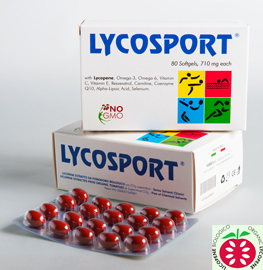 ORGANIC LYCOPENE - ANTIOXIDANT PROPERTIES Our organic lycopene is as a perfect antioxidant to increase health protection activities. A mixture of lycopene and others working in synergy for an stronger and more effective antioxidant action protecting human health. ORGANIC HEALTH SUPPLEMENTS - ANTICANCER ACTIVITIES scientific studies demonstrate that the "Organic Lycopene" as antioxidant offers anticancer activities at least 100 times most efficient than a solution of pure synthetic or natural lycopene. The USA's Food and Drugs Administration (FDA) has confirmed those studies showing that "A regular consumption of fresh tomatoes (or tomato derivatives) may reduce the incidence of cancers and neurodegenerative diseases"
Italian Business Guide your Gateway to Manufacturing suppliers and vendors DIRECT from Italy Jewelry producers, leather products suppliers, Italian Furniture manufacturing, Machinery suppliers, Power transmission suppliers, Equipments, Beauty care, Wine suppliers, Extra virgin Olive oil, Shoes, Furniture, Real estate food containers, Realtors, health care, home furnishing.